Kurt Foreman, CEO at Delaware Prosperity Partnership, joins Carla Sones to talk about his leadership journey. Kurt shares his insights on the challenge of jadedness in the civic arena, as well as the danger of thinking we are indispensable. He talks about the importance of creating energy for people to rally behind an end goal and the beauty of the inherent optimism that represents America. 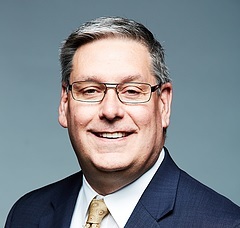 Kurt is the President and CEO of Delaware Prosperity Partnership, which is the state’s first public-private economic development organization created to promote the state of Delaware as a premier business location. Kurt’s extensive experience in economic development includes serving in various senior economic development roles in both chamber-based and independent economic development groups throughout the U.S., including Oklahoma, Louisiana, Pennsylvania, Wisconsin, and the Washington DC metro area.